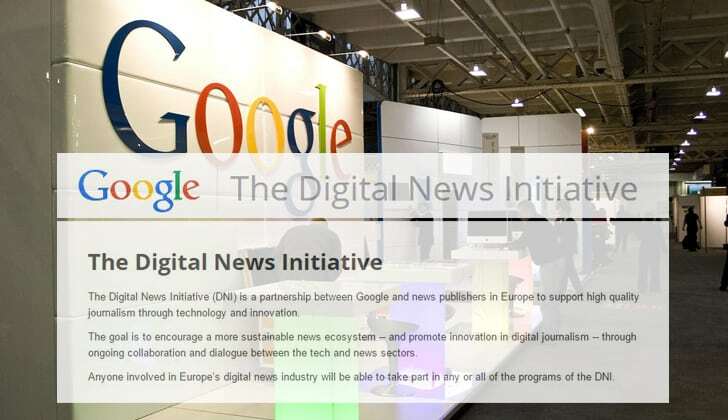 During 2015, Google set out to launch its Digital News Initiative (DNI). Their goal? To support journalism through technology and innovation. Recently, the topic of high-quality and sustainable journalism has risen tremendously. Events such as Brexit, Trump, and the refugee crisis have driven the conversation. The industry reflects: how can we inform accurately while being able to monetize our audiences? DNI seems like an effort from Google to take the pressure out of immediate monetization from these publishers. If you’re worried about how you’re going to pay salaries, how can you be thinking about improving your business, right? With that in mind, DNI was launched. So far. it has funded over 252 projects, committing a total of €54M (roughly $57M USD). In Q4’2016, Google announced their second batch of invested projects. 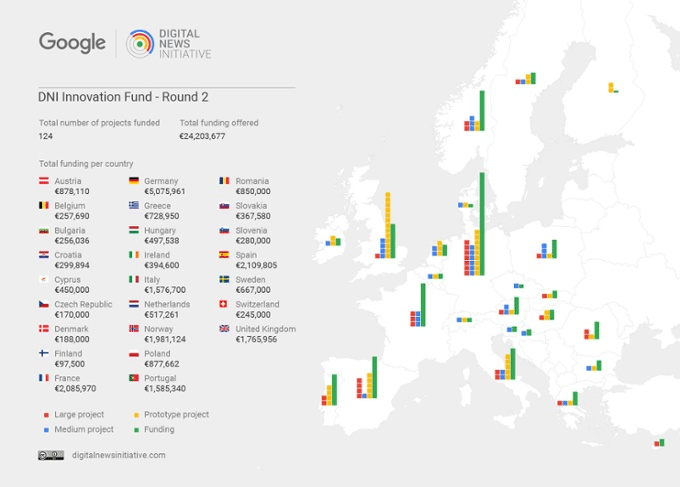 In this second batch, a total of 124 projects received over €24M out of Google’s €150M DNI Innovation Fund. It’s on this batch I will reflect upon today. This reflection has two parts: first, a summary of the trends observed in the projects funded. Second, what I would like to have seen on that list. 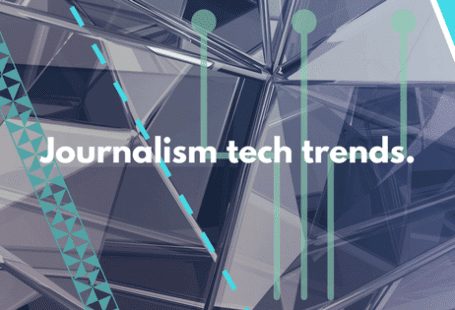 After analyzing every single project that was funded, I was able to identify 6 big trends that will impact journalism in 2017. “Monetizing anonymous reach is limited”. One of the concerns publishers face is the ability to monetize their audiences. The problem worsens when working with audiences you have no data about. Better processing and profiling digital audiences can lead to increased revenues, as your ability to deliver targeted ads grows. Google funded some projects with distinct approaches to this problem. From SingleSign-On to shared DMP’s, the common goal is to enrichen the data publishers have on their audiences. Newsletters have been a good way to identify and engage audiences. But what else can be done? We live in a distraction-prone world and ads are just another layer on top of it. It’s not that we’re just ignoring ads. We now think they’re offensive: “why the hell are you showing this to me?” or “No, I don’t want to wait 15 seconds to see this video. Refresh”. It’s fundamental that publishers research and develop ways of improving ad-based experiences. Interesting takes on this were presented by some projects. Trinity Mirror, for instance, will develop a “compelling alternative to promoted content (..) focusing on exclusive, targeted promotional offers that have real life value to users”. Real life value. I loved this. 3. The news is where the heart is. Local on the rise. This has to be the biggest trend observed on that list. What’s the reasoning behind it? “Local people still trust their local newspaper to tell them what’s happening in their neighborhood”. In the current state of journalism, we rely on big outlets to produce content that will, ultimately, reach us, be it from search, social or any other medium. But commonly, we are presented with irrelevant content or news and our expectations are let down. One global goal of all these projects is to increase audience engagement. It only makes sense that publishers try to make content as contextualized as possible. Covering news on a local mindset might just do the trick. (Will it scale, though?). Local seems to be rising, and it brings a friend to the table. Our #4. Allow me to repeat: a common goal with all these projects seems to be increasing user engagement. Another big bet I’ve observed is the pursuit of the individualized news experience. A lot of projects will bet on creating unique(-ish) experiences towards their audience. A diverse set of factors is used to differentiate such experiences. Location, reading history, time available, interests, and so on. Personally, I believe the media industry could learn a lot from eCommerce. Personalizing the store front based on who’s looking at it generated tremendous gains for some companies. The play here is to make the same for content. Is this a new “to each according to his needs”? 5. Does AI own the newsroom? No. But it will sure help journalists. A big conversation is developing online where thoughts that robots will replace humans in almost every line of work is not that far away. 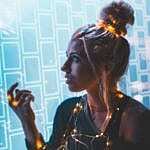 Jim Kennedy, AP’s Senior VP for Strategy and Enterprise Development, said that by 2020, he would like to automate 80 percent of its content production. That’s a big claim for AI enthusiasts. Still, the projects funded by Google don’t take journalists out of the equation. Rather, they empower them. 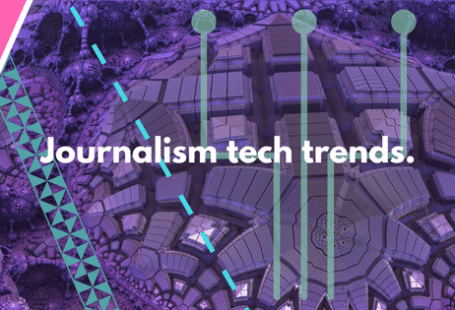 As we’ve seen, AI doesn’t seem to be replacing newsrooms (yet). But there’s a big bet on developing software that helps the production of better content. Now, that’s a proper motivation. Last but not least, my favorite trend. What I like most about this trend are the solutions they came up with. With all the conversation around fake news, the need for a “big brother” to save us from fake websites is here. Ideologically, I was never a big fan of the concentration of power. Thus, it makes me uncomfortable to think that in Social Media (for example), someone will decide what news I should be reading. Yes, we may be talking about just fixing the “fake news” problem here. In my reluctant dreams, I fear that the urge to control the problem scales to the hunger to control the news. To be honest, I was expecting the proposed solutions to be authoritative. Manageable, in-house. Perhaps creating software that an internal “truth ombudsman” would interact with. I was wrong, which is awesome! Or the AI-based software that automatically fact checks as the article is being written. Let’s step back for a minute. By now, I’ve shared with you the top 6 trends from Google’s Digital News Initiative. It’s definitely a wide scope of projects with a lot of implications to media and journalism. Publishing’s Business Model. Yes, a lot of projects tackle problems which (can) result in better audience engagement. But we’re taking for granted that better engagement will result in increased revenues. And that those revenues prove to be sufficient and/or scalable. What if they aren’t? I expected more experimentation with business models. Subscriptions, branded content, new approaches to sponsored stories. Something that could enlighten publishers that they do not need to depend solely on banner ads, native or programmatic. Amplification Strategy. I think publishers missed an opportunity here. Social has become the #1 way for people to discover new content. But today is impossible to organically reach audiences there unless you pay for it. 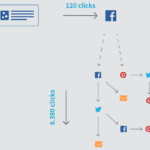 I believe the key to obtain more revenue from content relies on the ability to drive more traffic from social. However, I didn’t see many projects focusing on Social and on how to develop and execute traffic generation strategies from it. My concern is simple: Facebook is making it super easy for you not to leave its platform. You have content, friends, games, everything. Unless you pay, what will make Facebook decide to include you “in the feed”? We need to address this question and I was looking for a great answer in the DNI‘s list. Unfortunately, I couldn’t find a proper solution. 2017 will be an important year for content, media and publishers. I hope this article was able to give you a broad sense of what publishers are working on, which problems they’re tackling and what they’re expecting to fix. What’s your take? Will it be enough?